Internet is an amazing place. With the innovations in internet technology, a person of any age or background can start a business with very little capital. eBay is a big giant of online shopping and while there have been many changes over the years, it still is the most influential site on the web. 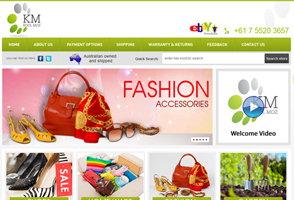 If you are an eStore Seller, you don’t need to create your own e-commerce site separate of eBay. However, considering following points you can afford-ably reach more people in your target audience. Business plans are not just required to start a new business or store but you can also use it in online businesses. Of course, with the broader reach of the internet, you need to ensure that you are done with your business plan on how to reach your target customers first before your competitors do. If you want to create a profitable eBay business, you must need to consider the constant supply and volume of the things that you want to sell online. If you choose to sell products which you are not able to supply constantly, this will affect your audience impression badly. With a huge range of products available for sale on eBay, you need to optimize your eBay listings carefully to ensure that your products are visible to the most number of online buyers. Try to use keywords in your listings. Also, choose your eBay store design template carefully so your customers cannot get any problem while going through your eBay store design. As there are just limited ways to show your items to your potential customers and providing them with a good picture to help you in making your business grow. Customers want to look into the product as much as possible, so give them a clear image of what the item looks like. Building trust is the key point for success of any business. Therefore make sure to give it to your customers as well. Selling items that can be easily broken may not be a good choice. Selling products that are too large or heavy for shipment could not be a good choice as well.